Application programming interfaces, or APIs, are designed to provide interfaces between multiple applications, allowing them to work together. From a security perspective, this is a powerful tool to have. 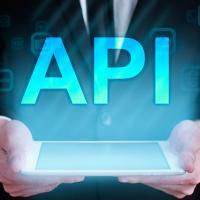 Unfortunately, the effectiveness of APIs diminishes if they are misunderstood. Here are five common myths about API security, along with the facts. A lot of vendors like to talk about products having features of API security. However, this kind of statement is meaningless. Claiming to have “aspects of API security” is like claiming to have aspects of a firewall or aspects of an antivirus. Excellent security is dependent on comprehensive systems, not individual features. It doesn’t matter how good the individual components of your security system are; if they can’t work together, they will ultimately fail. When developers are relying on purely software-based security solutions, they are opening themselves up to all sorts of vulnerabilities. There have been a number of high-profile data breaches in recent years that would not have occurred if the operating system had been locked down. When the API security solution you are using is purely software-based, hackers can find ways to inject their malicious code into it and exploit vulnerabilities in the operating system. It is when we start to become complacent about our security that we open ourselves to a potential attack. The underlying concept of an API might be simple: By providing an interface between programs, an API allows them to work together to enhance security in different ways. APIs represent an evolution of the security technologies that came before it. This evolution was necessary to maintain cyber security in an increasingly interconnected and complicated world. The assumption that APIs are simple often leads users, even security professionals, to underestimate them. We often think nothing about granting APIs access to some of our most sensitive systems, but it is vital that you understand as much about APIs as you can before you use them. API security gateways are an important concept in API security, yet they are regularly overlooked by the very people who should be implementing them the most. A standard API gateway is not designed to act as a security buffer, making it easy for attackers to pass through. On the other hand, an API security gateway will be explicitly designed to keep you safe from attackers. Cyber security products aren’t designed to handle identity and access control. Likewise, API identity products are not built to enforce cyber security policies. In order for your system to remain secure, you will need both of these components to function together. APIs can significantly enhance the protection that your security system offers, but they will not keep you safe on their own. Instead, you should combine the use of APIs with other good security practices, including using virtual private networks(VPNs) to maintain anonymity, to develop a more holistic security approach.